A Good Time to Invest in Commodities? A few trends bode well for commodities investors, Mike McGlone of ETF Securities says. Assets invested in gold account for the majority of commodity ETPs. For value investors, commodities’ lower prices naturally raise the question: Is this an opportune time to buy commodity-focused funds? Several trends point in that direction, according to Mike McGlone, director of research at ETF Securities-U.S.
First, investors in commodity exchange-traded products, or ETPs, did not rush for the exits in 2014, despite falling prices—although there has been rotation among different assets. Still, ETF Securities’ research finds that global assets under management in commodity ETPs fell by $9.2 billion to $101.5 billion in 2014. Apart from gold ETP redemptions, however, it was price movements—not investors’ redemptions—that caused the decline; overall net flows into non-gold commodity ETPs were neutral. In categories like oil funds, for instance, inflows were up sharply, an indication of changing investor sentiment. Other categories also saw growth in 2014, ETF Securities reports. Broad commodity index-tracking ETPs received $1.1 billion in 2014, a sign that strategic investors are starting to view commodities as an asset class that has high value relative to stocks and bonds. As for specific categories like grains, low prices brought investors mainly into corn and wheat, as longer-term investors believe that growing conditions are unlikely to be as favorable this season as last. “Platinum’s marginal cost of production is about $1,200, and that’s just where platinum is right now; the all-in cost of production is much higher,” he says. Is resilience a positive indicator? 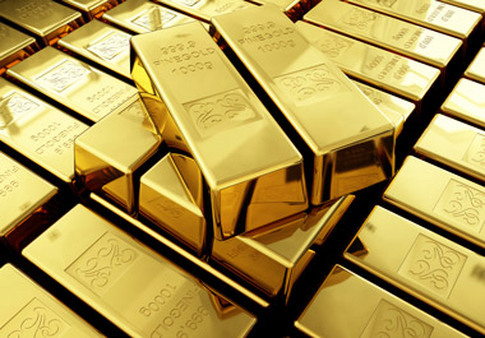 The price action in gold is another positive indicator for metals investors, McGlone maintains. Gold ETPs accounted for over 60% of commodity ETP assets at year-end 2014. Despite the large redemption from gold funds—over $3 billion in the fourth quarter alone, mainly by U.S. buyers—and multiple traditionally negative economic indicators, the metal’s price did not change significantly from 2014’s start to finish, although the price was volatile during the year. For example, strength in the dollar is usually bad for gold, he says, but the price started and finished the year around the $1,200-per-ounce level.